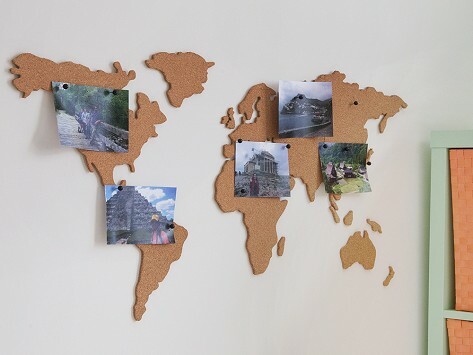 This Corkboard Map from Luckies of London is a self-adhesive world map fashioned from cork. 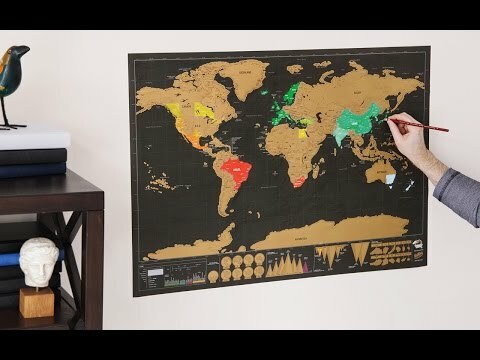 Its simplistic design compliments any wall and can be used with push pins to attach photos, postcards, tickets, and mementos from you travels. Dimensions: 17.9" x 39.4" x 0.2"